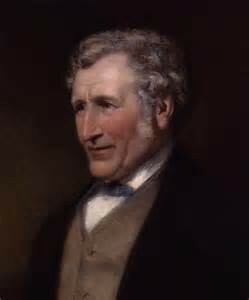 James Hall Nasmyth was a Scottish engineer and inventor famous for his development of the steam hammer. 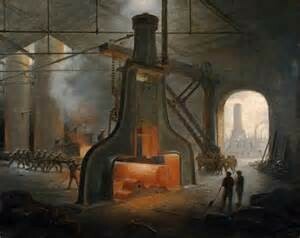 He was the co-founder of Nasmyth, Gaskell and Company manufacturers of machine tools. He retired at the age of 48, and moved to Penshurst, Kent where he developed his hobbies of astronomy and photography. 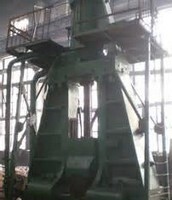 A steam hammer is a power hammer driven by steam. Typically the hammer is attached to a piston that slides within a fixed cylinder, but in some designs the hammer is attached to a cylinder that slides along a fixed piston. It was a large machine, about 20 - 30 ft height and 15 ft width. The steam hammer was operated by a couple of individuals. Information about the Steam Hammer. 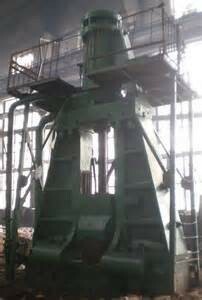 It is used for tasks such as shaping forgings and driving piles, it was strong and driven by steam. 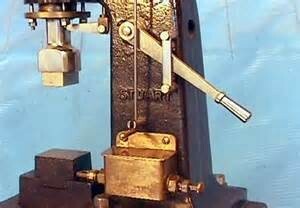 The concept of the steam hammer was described by James Watt in 1784, but it was not until 1840 that the first working steam hammer was built to meet the needs of forging increasingly large iron or steel components.